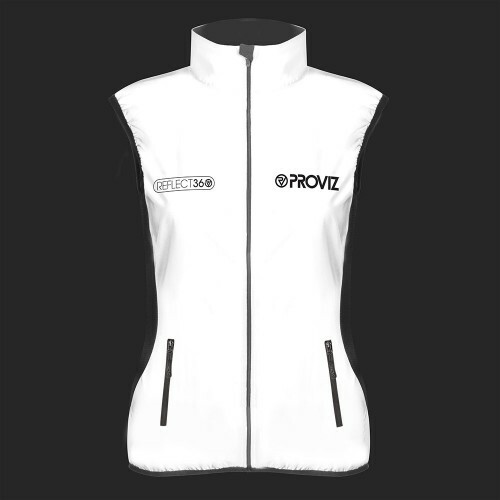 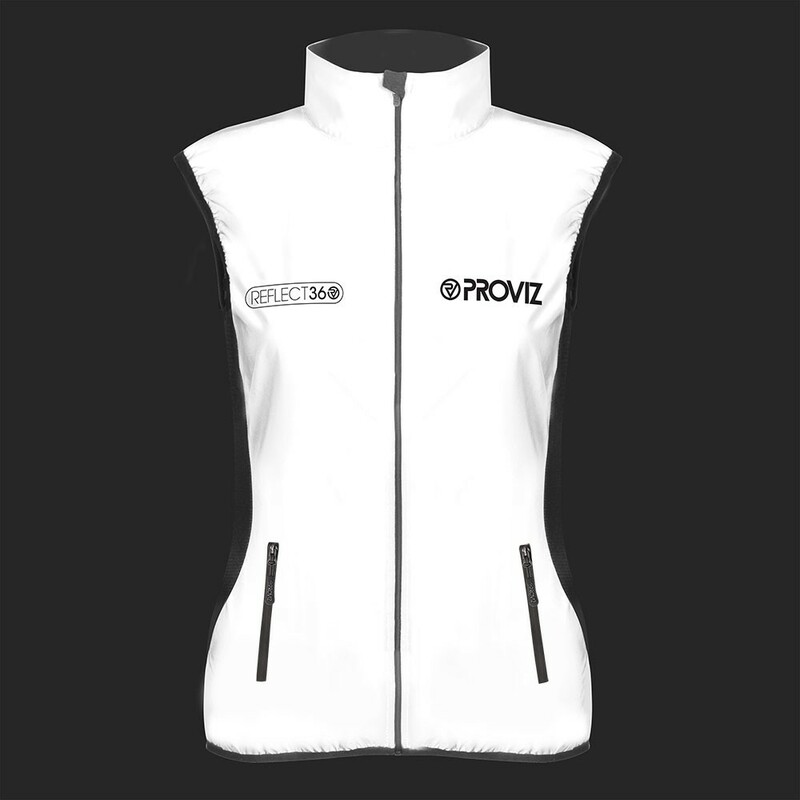 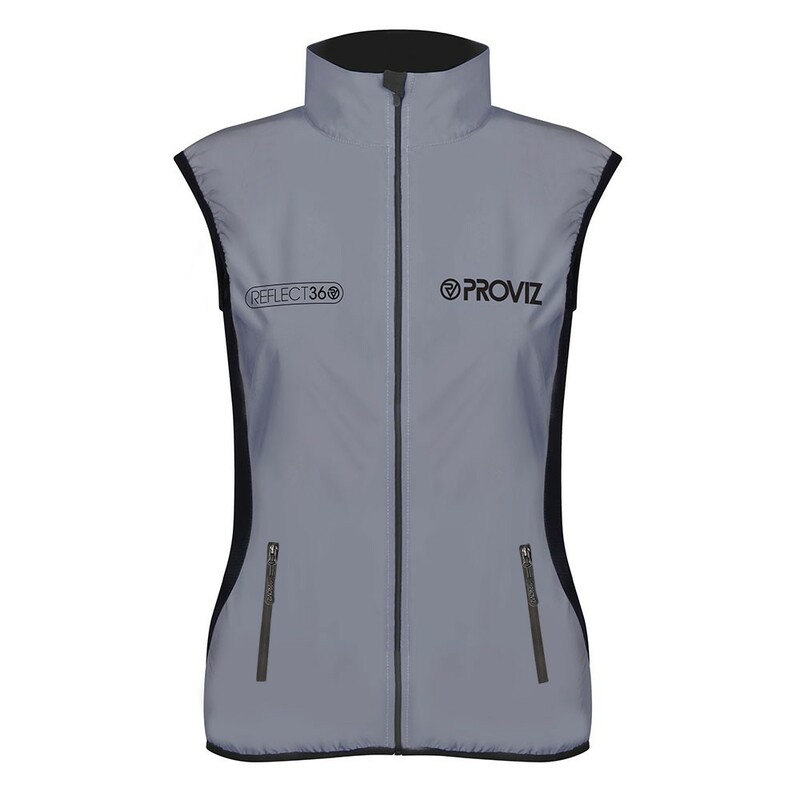 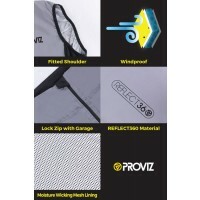 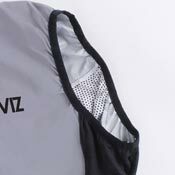 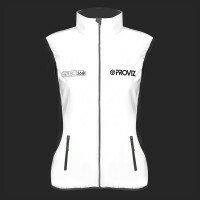 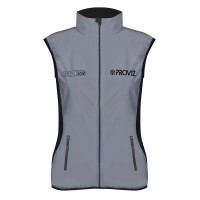 The new Proviz REFLECT360 running gilet has been designed to give you a super lightweight running gilet that looks great and helps you stand out at night. 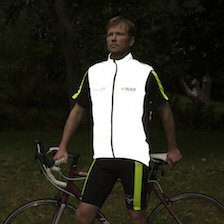 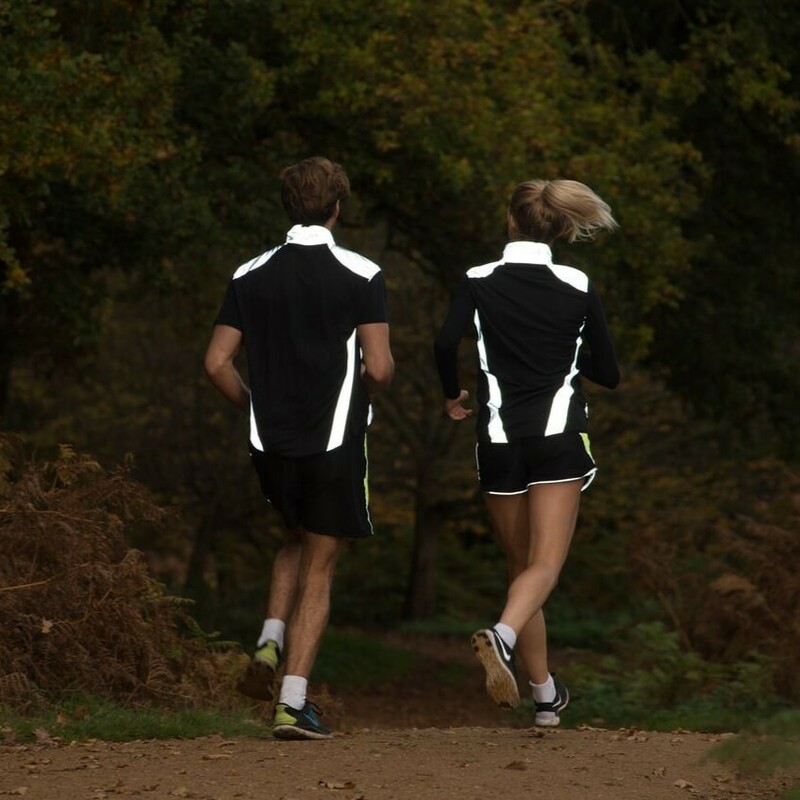 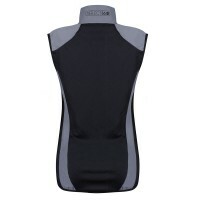 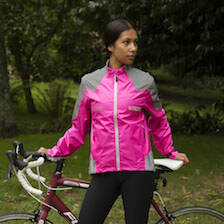 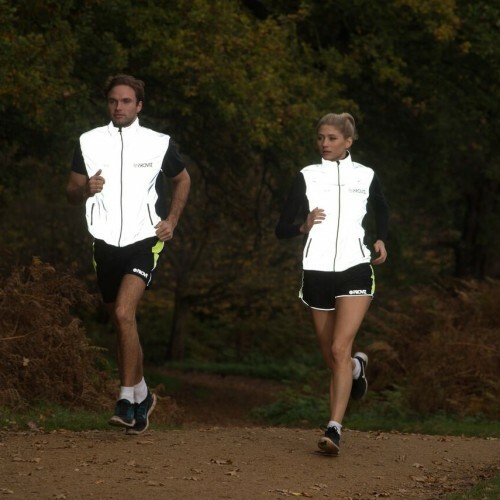 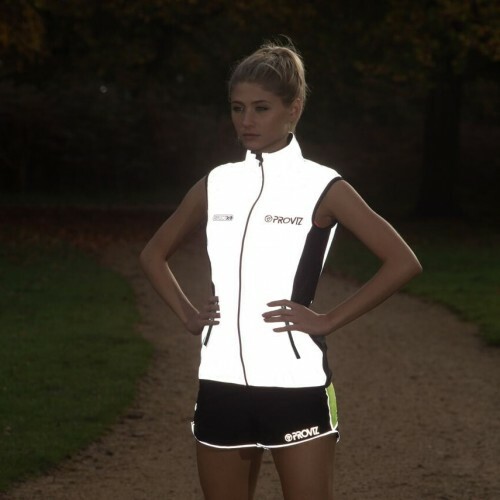 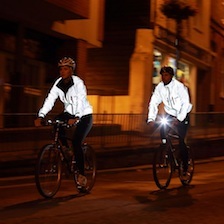 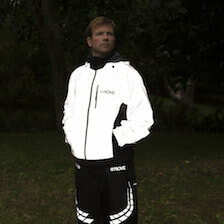 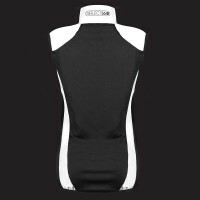 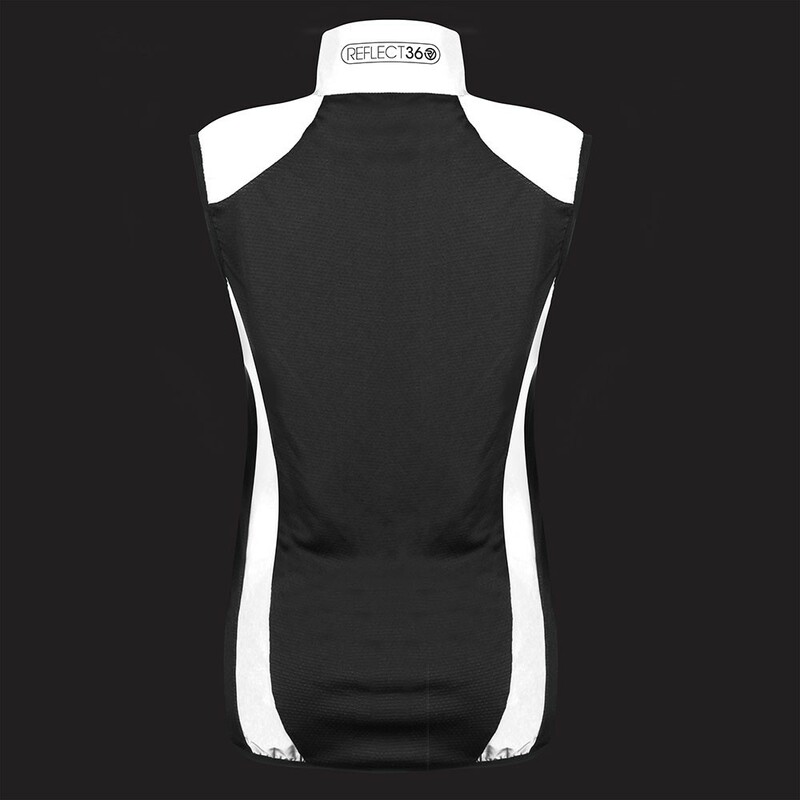 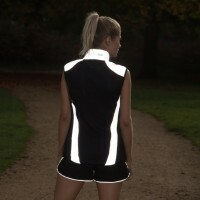 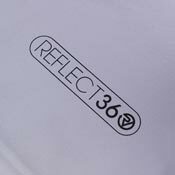 Like the REFLECT360 running jacket, our designers have focused on the weight of the gilet to give you optimum comfort. 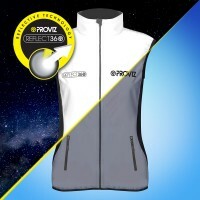 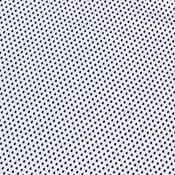 It weighs in at only 100g (size variable) and feels so light that you won’t even feel like you are wearing an extra layer! 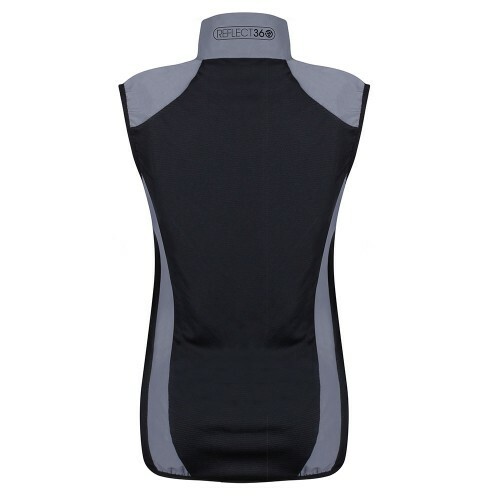 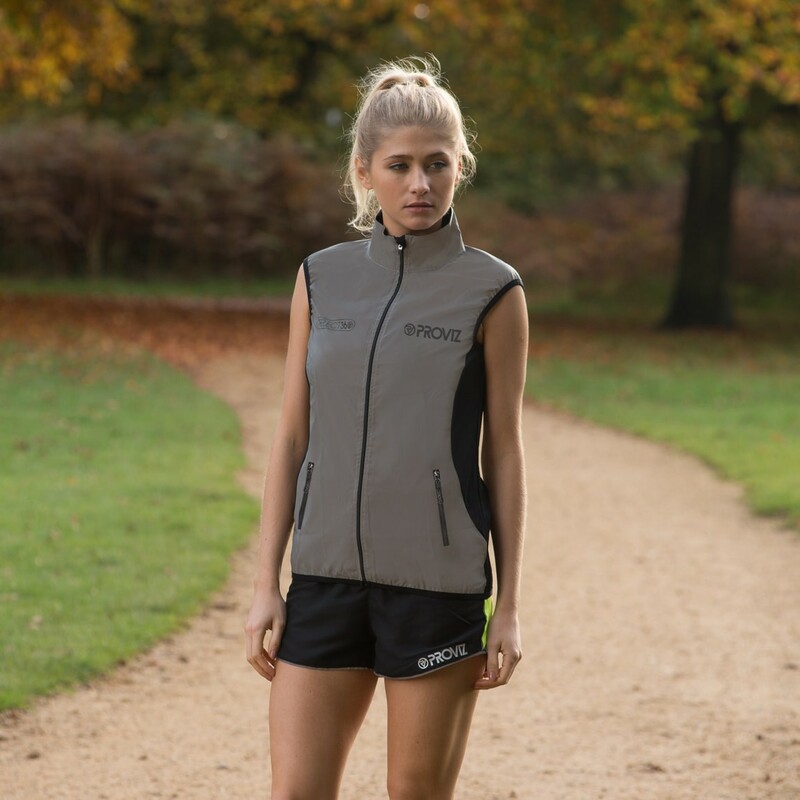 The REFLECT360 running gilet has a super comfortable soft-mesh back and under arms that allow all the heat that you build up to escape. 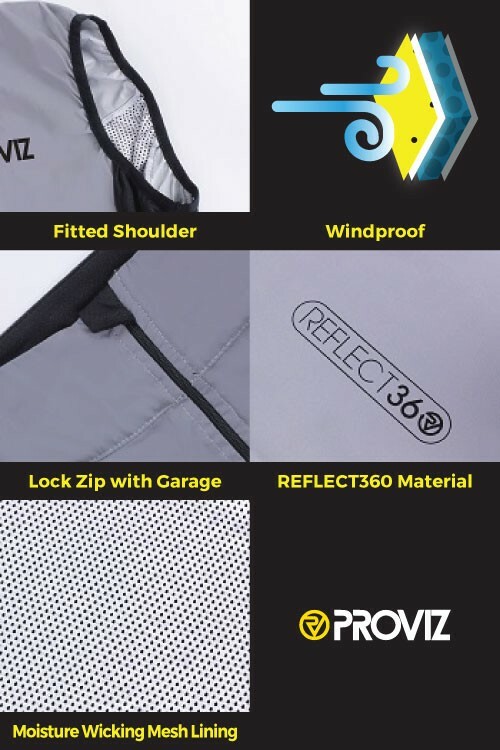 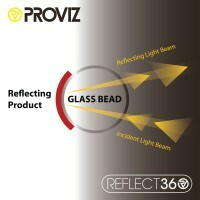 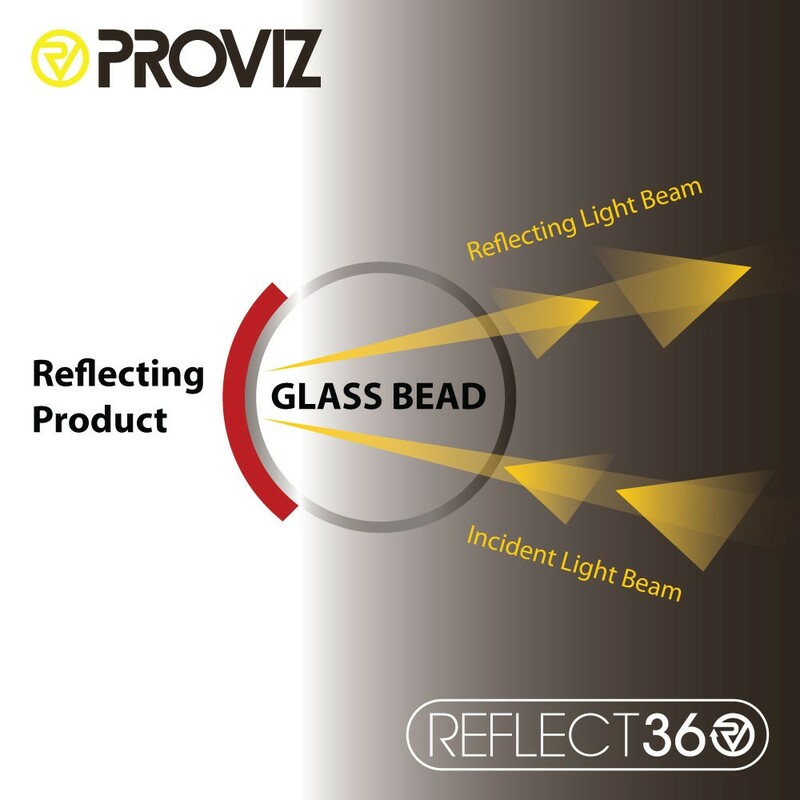 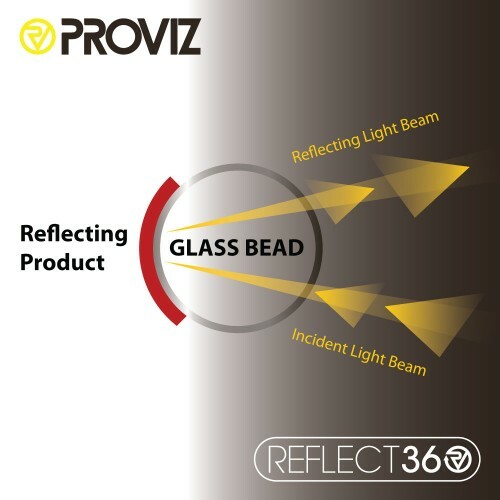 Utilising millions of tiny, highly reflective glass beads, the innovative material used for the REFLECT360 Running Gilet reflects light back from vehicle headlights, helping you to be seen more clearly on the road at night. Excess material flapping about in the wind can be really annoying when out on a run! The shoulders of the REFLECT360 Running Gilet are fitted to avoid this annoyance and to ensure that, on cooler days, cold air is kept out and body heat retained. The REFLECT360 Running Gilet has a soft-touch, moisture wicking mesh lining which acts as a climate control mechanism, increasing airflow by maintaining separation between your skin/shirt and the outer layer of the jacket. 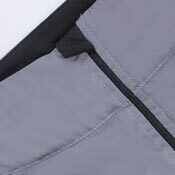 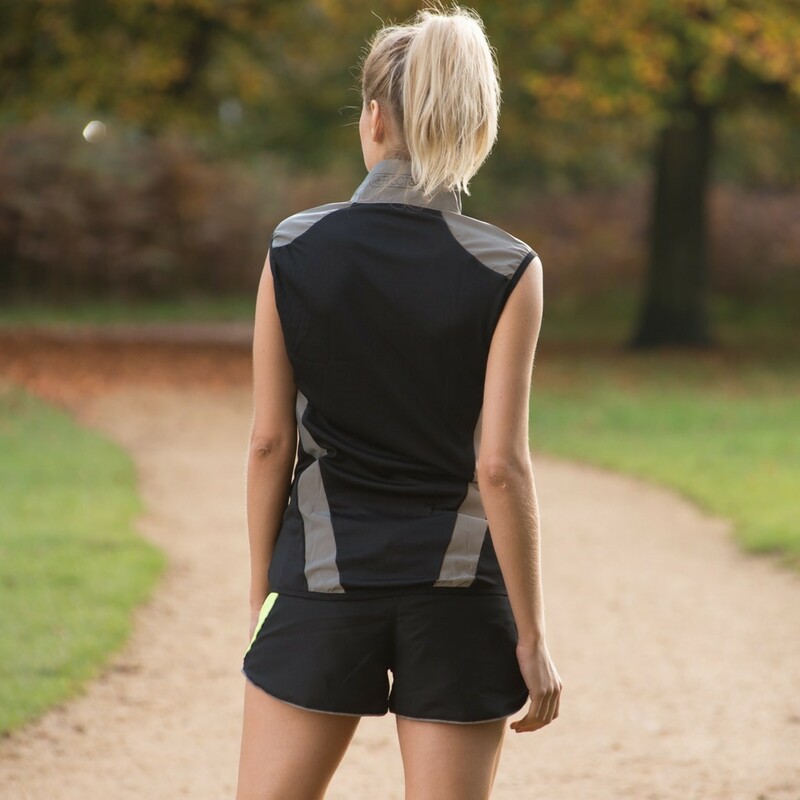 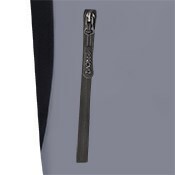 The lock feature on the zip ensures that the zip does not slide down when you are out on your run and the zip garage guards against any uncomfortable neck chafing when the gilet is fully zipped up.